Azura manages that wonderful blend of six-star luxury and laid-back island living which so many places strive for, but very few get just right. 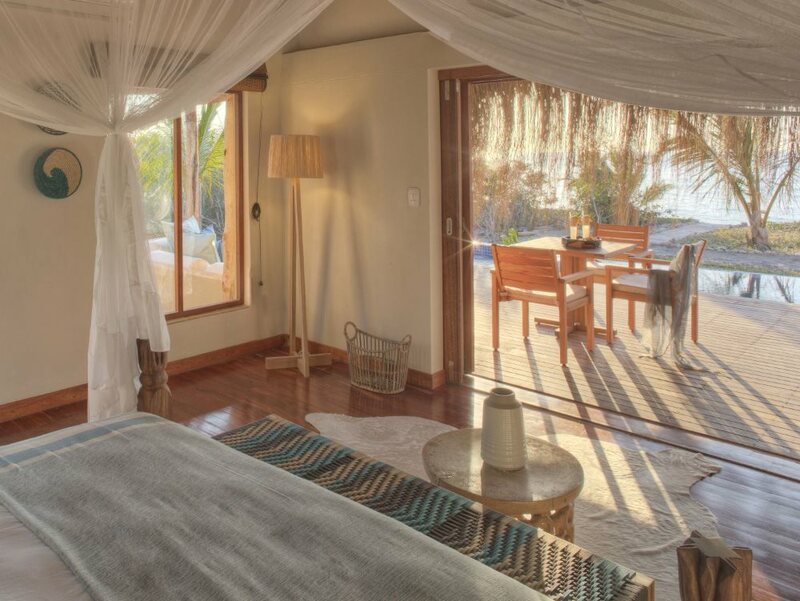 Azura is definitely THE most stylish beach lodge in Mozambique - bar none! Spacious, cool and wonderfully luxurious villas where you can simply kick back and chill for the duration of your stay – you won’t want to go home! The helicopter transfer from Vilanculos is a highlight in itself – a spectacular flight low over the turquoise waters surrounding the islands! 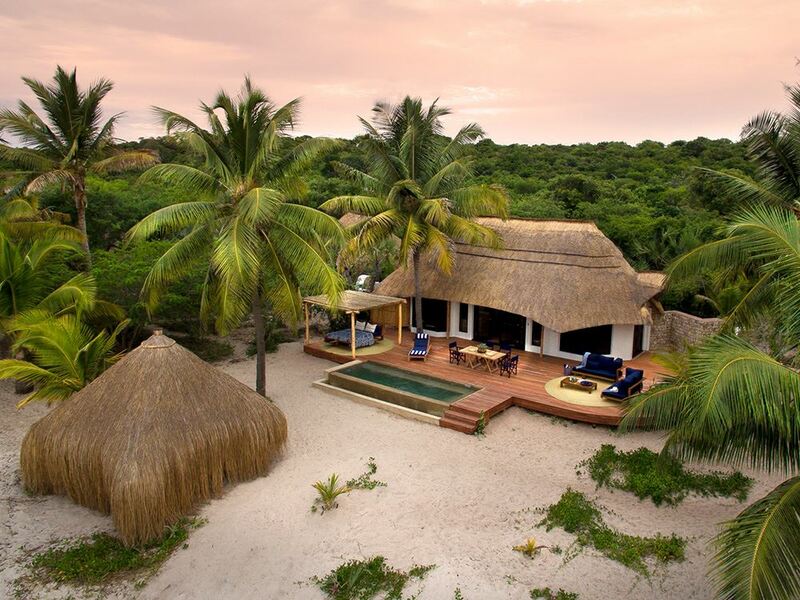 Certainly this is by far the most chic and stylish of all Mozambique’s growing selection of upmarket beach lodges. Take for example the thatched lounge and Star Bar which open straight onto the beach, and are furnished with an eclectic mix of comfy chairs, carefully selected artworks and colourful cushions of all shapes and sizes. Delightful touches abound – our favourite probably being the fish sculpture made entirely of silver cutlery! Perhaps the signature of Azura though is the unique shaggy front to all the thatched roofs at the lodge, from the villas and main buildings to the shading salas on the beach. Azura means ‘beautiful blue’, and the whole resort has been carefully planned to maximise the views of the turquoise-saturated sea and sky. From the main lodge, it’s a short stroll across powdery sand and onto the polished wooden floors of one of 17 villas at Azura – the smallest are the 2 Beach Villas which still have all the creature comforts including a plunge pool; 3 Luxury Beach Villas; an 10 Infinity Beach Villas which have larger plunge pools as well as more favourable positions further away from the main public areas. If money is no object or you’re travelling as a family then there are 2 larger and even more sumptuous villas – the Villa Amizade and Presidential Villa. Through the large sliding doors of your villa you’ll find a stylish bedroom and living area decorated with cool, textured cottons. There’s both air-con and fans to keep you cool and luxurious touches abound (including gorgeous Molton Brown toiletries in the wet room-like bathroom with its bath big enough for 2! The private outside area leaves you with delicious decisions like whether to read your book on the sun lounger next to your infinity pool (which really is long enough to swim around in), or whether to wander a few steps further to your shaded daybed on the beach. 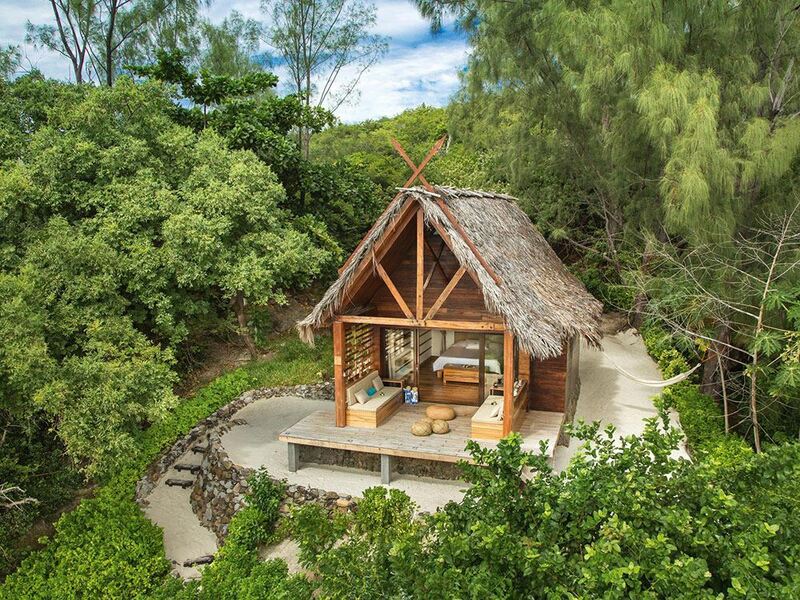 The villas are separated from each other by indigenous trees and there are also bamboo screens between the villas meaning that you can relax in privacy both in- and outdoors. Although Azura has been built with relaxation in mind, there are plenty of activities for those with energy to burn. The ocean surrounding Benguerra Island forms part of a National Park, with coral reefs and clear, warm water offering phenomenal scuba diving and snorkelling. The waters in the archipelago also teem with game fish – marlin, sailfish, tuna and giant trevally (GT’s) being amongst the prize catches (on a catch and release basis) Azura also has its own traditional dhow so you can set sail at sunset or cruise to Pansy Island for a picnic. It’s the kind of place where you can completely lose track of time, as you relax into the slow rhythm of island life. Mozambique has some of the best seafood in the world, so it shouldn’t come as any surprise that much of Azura’s menu is based on the morning’s catch – think lightly seared tuna steaks and shashimi! 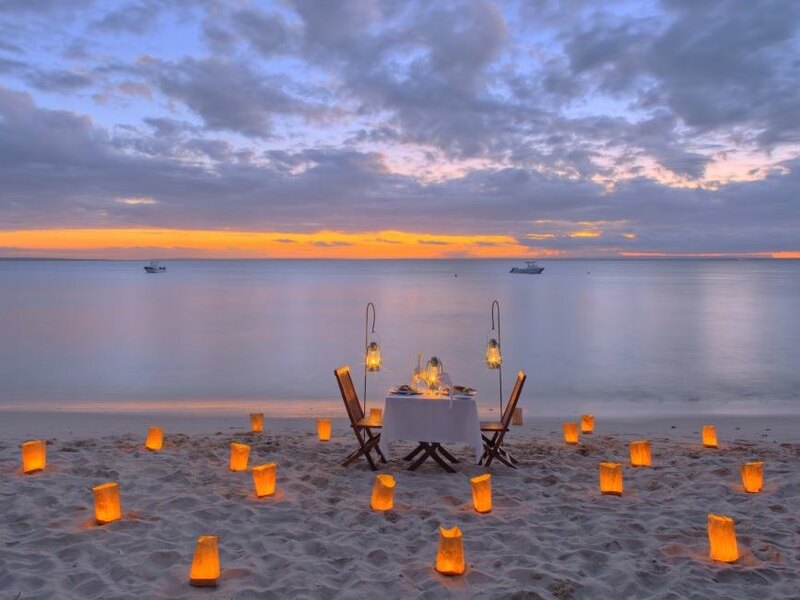 Beach barbecues are held every few evenings, and are a small slice of seafood heaven - rows of perfectly cooked lobsters and giant prawns are plucked straight off the fire and popped onto your plate. Other meals are an altogether more refined but no less delicious affair and you’re in for a culinary treat! Add in your own dedicated butler, a superb Spa, an extensive wine cellar to go with the excellent dining, not to mention the unbeatable water sports activities the area is famed for (snorkel, dive, fly fish or big game fish, swim with dolphins, track down humpback whales on their migration, or go out with the Dugong Protection Team) and you have the recipe for the holiday of a lifetime! 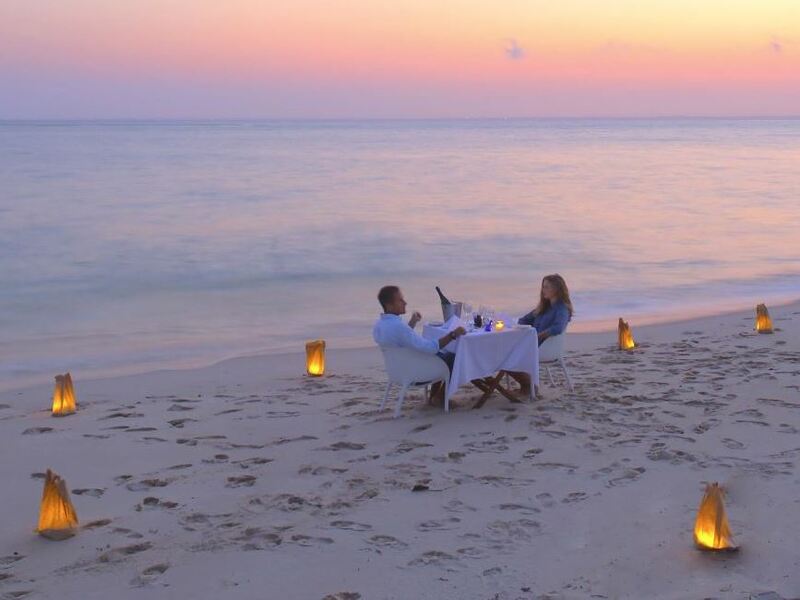 Recently taken over by top lodge operator andBeyond and following an extensive renovation, the original lodge built on this stunning island in the Bazaruto Archipelago is again ready to shine!